Grayco offers expert roofing advice including code and industry standard compliance Roof Inspections, surveys, analysis and testing. Whether there is an existing roof or a roof in planning, the design and application of roof systems in accordance to national and local building codes is paramount for proper roof performance and public safety. Remember building codes are “minimum” standards for which buildings are to be designed and constructed. Building codes generally follow with industry design and application standards, but acceptable industry standards can be far more stringent than applicable building codes. With Grayco’s extensive library and resources we are able to apply proper building codes in locations across the nation as well as research older codes for applications on existing older buildings. Need more reasons to hire a roof consultant? Read this. 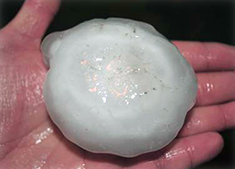 Grayco has vast experience in forensic roof investigations including hail and wind damages, leak investigations, cause and origin loss analysis with destructive and nondestructive testing methods, including infrared roof moisture surveys. 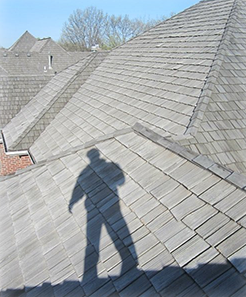 For investigations, expert witness and testimony, large and small companies alike refer to Grayco for our extensive knowledge of all facets of the roofing industry. Grayco’s in depth survey and documentation of the roof assembly combined with industry, weather and specification research allows us to provide our clients with a full forensic detailed analysis of the current conditions, cause and origin of the loss. From this roof survey and condition assessment we are able to offer additional services of consultation, estimating and project management in restoring the roofing system.